If you haven’t had a chance to watch Fear the Walking Dead yet, then fear not (ha ha), because AMC on BT is running a marathon of all six episodes of the first season on Halloween (Saturday 31st October). This show might be a bit slower than its sister show, The Walking Dead, but as it is set during Rick Grimes’ coma period, around patient zero, well what appears to be LA’s patient zero, it runs at exactly the pace it should. For those that don’t know much about the show. It isn’t a spin off or a prequel to The Walking Dead. It is set just after Rick Grimes has his coma and before he wakes up, but is set in a different city in the US. It follows Madison Clark (played by Kim Dickens, Gone Girl, Friday Night Lights) and her family as they come to terms with what is going on. There are so many interesting characters, Madison appears to have a secret past, apart from the walking dead, she doesn’t seem too fazed by other goings on around her. Her son, Nick (played by Brit star Frank Dillane, Harry Potter and the Half Blood Prince, Sense 8) is really one to watch. He is a heroin addict, who first discovers patient zero. I saw an interview with Executive Producer and Co-Creator of the show, Dave Erickson, where he said you wouldn’t walk up to your neighbour or relative and just because they looked a bit ill suddenly hit them over the head or shoot them in the face, you would be slow to react, you would want to see if they are ok, wonder what is wrong with them, before you realised that they weren’t exactly as they should be…or indeed alive. The show is exactly what the title says, it is the fear of the unknown, the fear of not just what the walkers are, but what they mean for the world and how people and the military decide to deal with it. In the US there is also a spin off web series called Fear the Walking Dead Flight 462. This will be coming to the UK soon, I promise to let you know when, which as you guessed, is set on a plane. Each episode appears online in the US after The Walking Dead episodes. 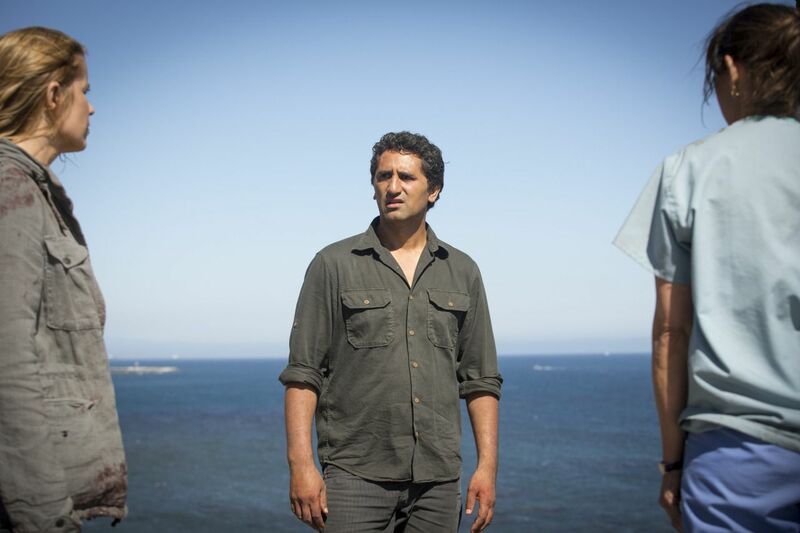 At the end of the run of the web series, one character will join season 2 of Fear the Walking Dead. Now I’m afraid I can’t tell who that will be because I don’t know, the writers don’t know as they are currently working on season 2 as we speak. But it’s going to be interesting to find out. Fear the Walking Dead season 1 marathon airs on AMC on BT on Halloween, Saturday 31st October. In my day job I work for BT which has the AMC channel exclusively. I was not asked or paid to write this blog post and have simply chosen to share this with you as I am a fan of the show and the genre. Fear the Walking Dead season 1 gets off to a slow start, but if you didn't yet know what a walker was, and your friends and family were infected, your first thought wouldn't be to run a kitchen knife through their heads now would it? This show is going to catch up with its sister show The Walking Dead pretty quick.